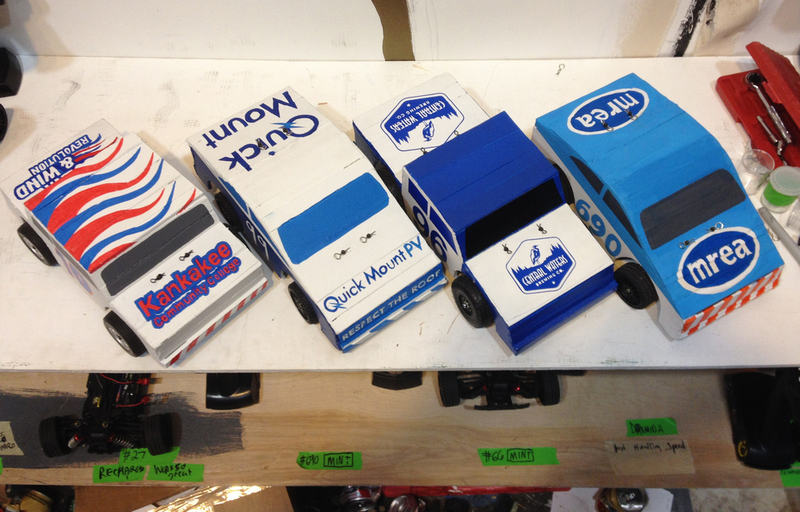 Here are some in progress shots of demo derby cars for the Green Mini Demo Derby at the MREA Energy Fair in Custer, WI June 20-21st. Central Waters Brewing Co., Midwest Renewable Energy Association, Kankakee Community College, and Quick Mount PV. Next up finishing (and starting) cars for Alternative Currents, RREAL (Rural Renewable Energy Alliance), North Wind Renewable Energy, and Colectivo.